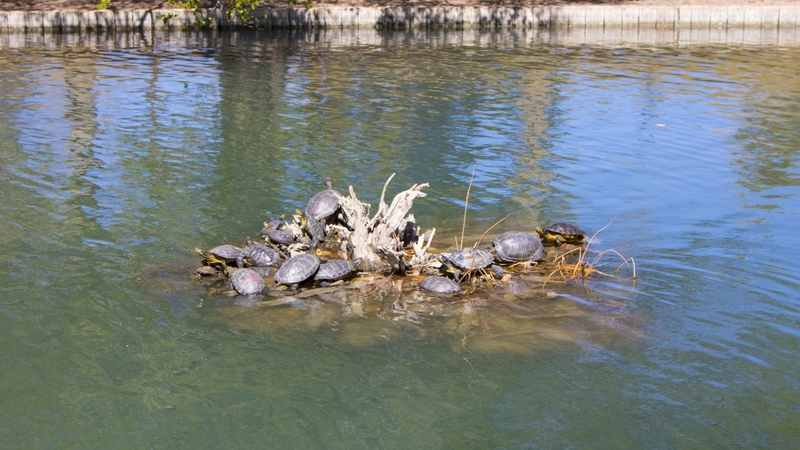 Turtles basking in the sun by the pond's bridge. As the pond refilled, the wild ducks quickly found their way back and settled in. 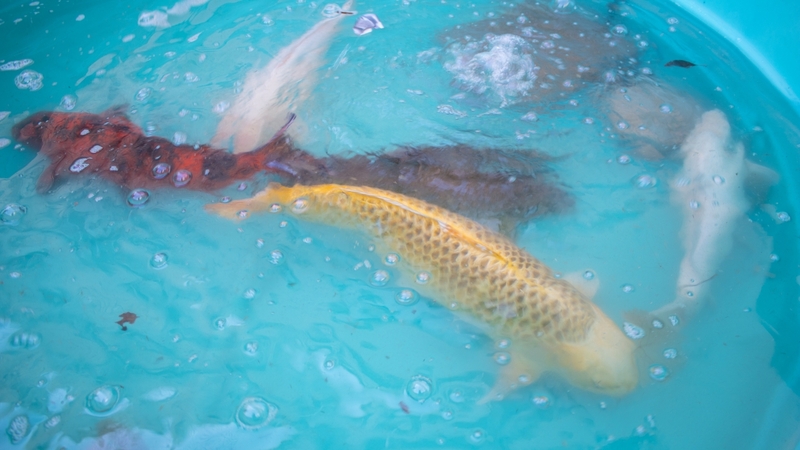 Visitors can now see the beautiful colors of the large and small koi fish. 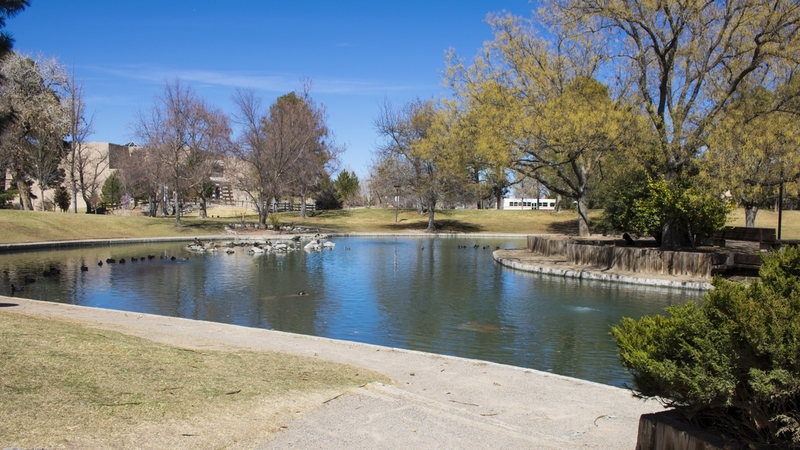 In all, 84 turtles, 76 bass, 56 large koi, 16 small koi, nine carp and one catfish were released back into their home; followed by numerous wild and domestic ducks. 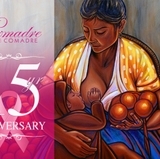 It happens every few years, and boy does it make a difference. 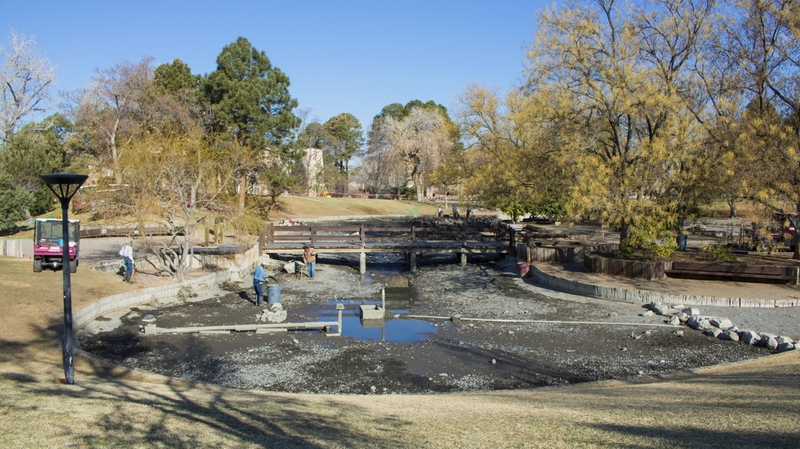 While students were away for spring break, UNM’s Physical Plant Department (PPD) undertook the arduous job of emptying the campus pond for a deep cleaning and what they find every time is great fodder for conversation. Cleaning the pond began the day after students started spring break and took five days to complete. During the process of draining the water, 29 members of the PPD grounds and landscaping staff, and the heavy equipment operators, captured the domestic ducks for temporary relocation off-site. 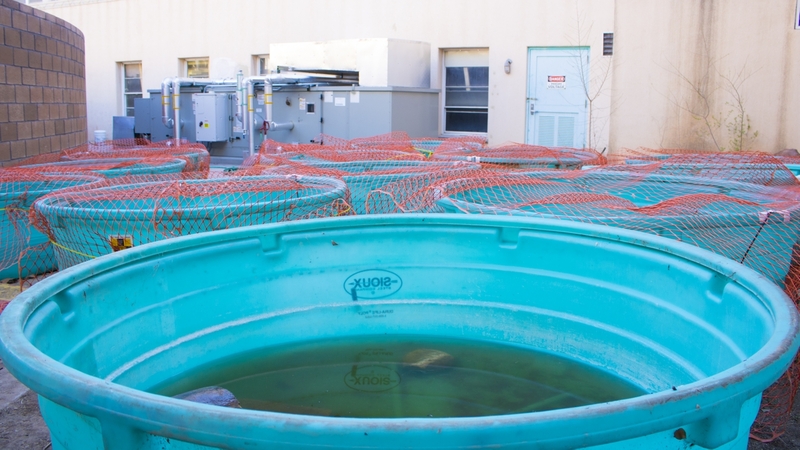 The staff then safely captured the fish and turtles and transferred them to temporary holding tanks outside Castetter Hall where they were monitored and securely cared for. 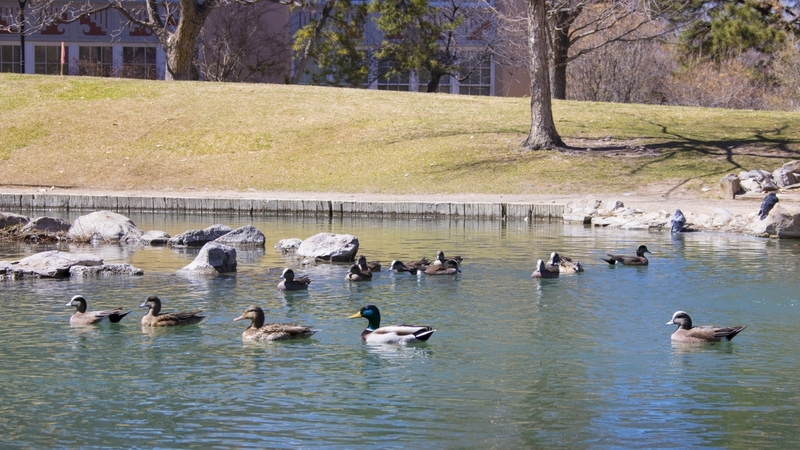 “As the pond emptied, the wild ducks decided to find other places to go, leaving the pond mostly free of wildlife during the cleaning process,” said McCord. Cleaning the pond was a dirty job. It entailed the PPD staff wearing waders so they could walk through the thick mud that built-up on the bottom of the pond. 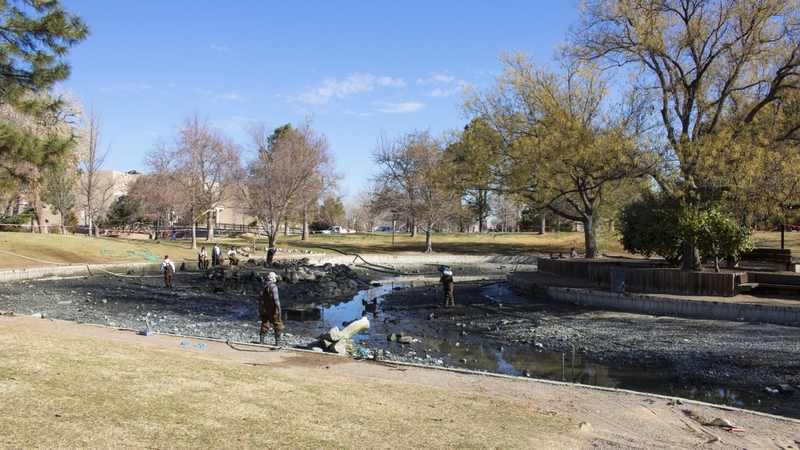 The crew power washed the mud to the center of the pond with fire fighter-sized hoses. They also shoveled and raked much of the slimy leftovers. Large vacuum trucks sucked up the mud and other debris, then carried it to an offsite landfill. 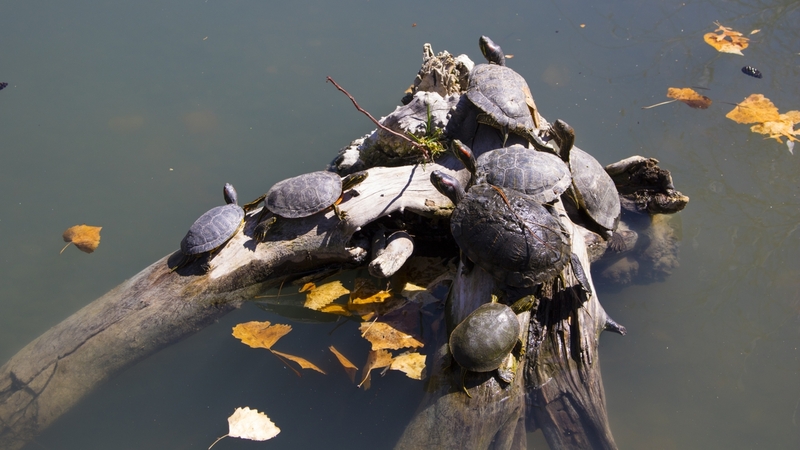 In all, 84 turtles, 76 bass, 56 large koi, 16 small koi, nine carp and one catfish were released back into their home; followed by numerous domestic ducks. But what wasn’t returned was a long list of interesting items found on the bottom of the Duck Pond. Along with a few broken hearts, there were bicycle seats, wheels, clothing including a neck tie, a laptop, several cell phones, toys, glasses, silverware and cups, and other assorted trash. Believe it or not, it’s not those items that worry PPD. It’s the food that people throw to the wildlife that is dangerous for them to eat and takes away the beauty of the water. 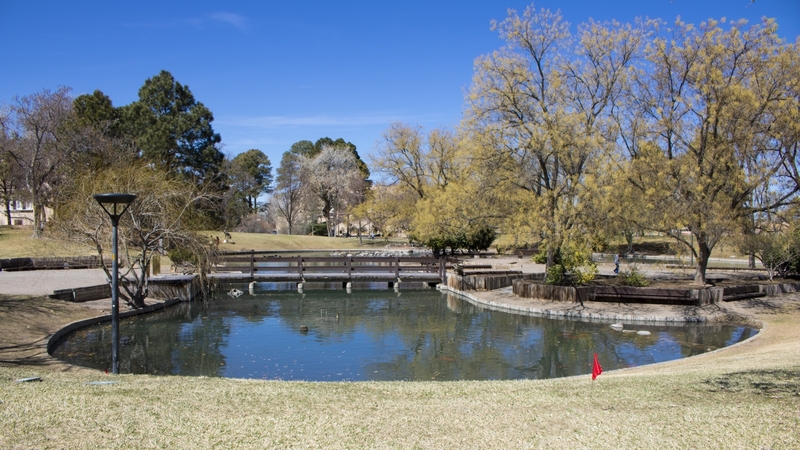 So with that, visit the pond sometime soon to appreciate its restored beauty. 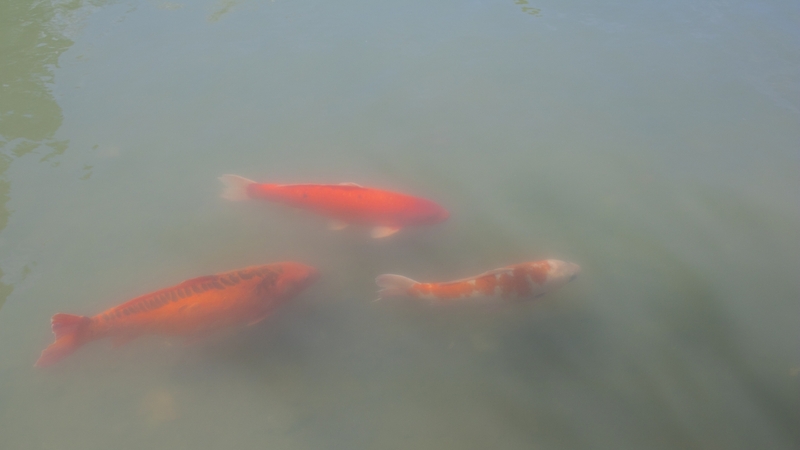 You can see the larger-than-life koi and turtles happily travel about. And don’t worry about how hungry they are, just like college students they have learned to take care of themselves.